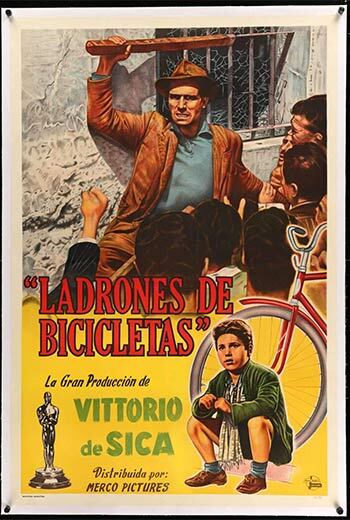 Bicycle Thieves - 70th Anniversary! This film is a part of a Double Feature with Killer of Sheep. When two movies that are screening in the same theatre are grouped under the same thematic heading, one ticket is good for both features when viewed back-to-back on the same day (except as noted). Lamberto Maggiorani, Enzo Staiola, and Vittorio Antonucci. One of the most treasured films of all time, Vittorio De Sica’s masterpiece follows a man trying to maintain his ethics and dignity while he searches with his son for his stolen bicycle in postwar Rome. Simple, powerful, and unforgettable.